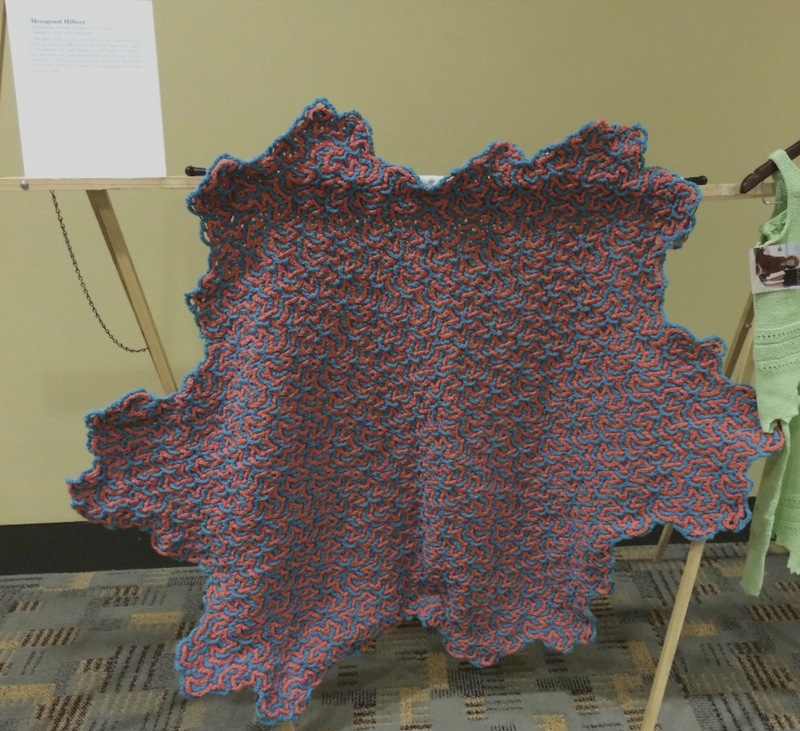 This piece follows up on a previous work that takes advantage of the fact that space-filling curves have fractal dimension 2, which is coincidentally the same dimension as the surface of a blanket. The two colors form independent meshes---one triangular and one hexagonal--- joined only by how they are interwoven. The pattern is an iterative fractal that traverses a seven-hexagon motif on larger and larger scales.